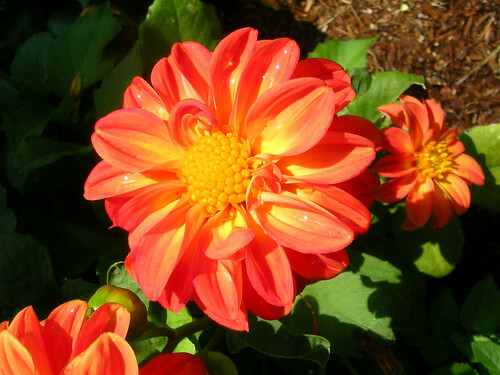 Here is a photo of a a bright dahlia I grew this summer. The blooms would have been pretty in a center piece for the Thanksgiving table. I am wishing everyone a wonderful holiday with their family and friends. This entry was posted on Thursday, November 27th, 2008 at 3:00 am and is filed under Garden. Tagged: Dahlia, Garden. You can feed this entry. You can leave a response, or trackback from your own site.